Luci de Foix was nine when her parents were killed in a car accident. But was it an accident? Unbeknownst to Luci, a group known as The Order, under the protection of the Pope, has been watching her family for many years, waiting for the day that a diary written in the thirteenth century would be delivered to her family—a journal that contains a key to a lost codex—and they would do anything to get it. Early one morning, when Luci is twenty-nine, a bloodied young man delivers a book, claiming it’s from her late grandparents. To win a copy of the book Black Madonna by Linda Lee Kane, please enter via Rafflecopter at the bottom of this post. Giveaway ends on April 8th at 12 AM EST. We will announce the winner the same day on the Rafflecopter widget. Good luck! Linda Lee Kane is an author of fantasies, thrillers, and contemporary fiction works. She is the author of Death on the Vine, Chilled to the Bones and an upcoming re-release of the The Black Madonna 'A Popes Deadly Obsession'. She lives with her husband, two dogs, and seven horses in California. "Whether I am writing for adults or children, the war between my days and nights is reflected in my books. Although the tendency to acknowledge the light and dark sides of life is often disguised in my work, it's always there, lurking just out of sight." WOW: First of all, congratulations on your book Black Madonna: A Pope's Deadly Obsession. What inspired this book? Linda: I enjoy reading historical mysteries, particularly lost artifacts and lost religions. I read about the Cathars that Pope Innocent III was determined to wipe out for many reasons, one of the biggest factors was money. I also wrote how the Knights Templar sided with the Cathars in France, and lost documents that to this day have not been found. WOW: That sounds so interesting! That leads me to my next question - what kind of research did you do for this book? Did anything surprise you? Linda: That's a great question. I did about two years worth of research and enjoyed every minute of it. I learned so much about that time period. The most suprising thing to me is how our present day Tarot cards were not the mystical cards in the twelvth century. They were family stories, written on lambskin and given to gypsies who were the travelers of that era. In my book I explain the meaning of each of the card and what it represented in that time period and how it pertains to each of my chapters. It's fascinating. WOW: I never knew that! So, you write for quite a variety of audiences! From adult to children to thrillers to fantasies. What is it like to write for so many different types of readers? Linda: I worked for so many years with kids as a school psychologist. In all of my children's books there is a hidden message, whether it's to believe in yourself, never give up on your dreams, don't judge a book by its covers, or in one book how to make math fun and interesting. In my Young Adult books I wanted the kids to learn about history, about the importance of women and what they contributed in the Amercian Revolution but I wanted to do it in a way that they would have no idea they were learning something very important. In my adult books I write the books I enjoy learning more about and that's history. I also love the psychological plots and I have those in my books. WOW: I love the messages you put inside of your books! Now, you have a background in education. How did this experience shape you as a writer? Linda: As a psychologist and then as a professor at a local college there were so many people with such diverse backgrounds and I learned something from each of them. After four years of being retired they find me on facebook and I get notes from many of them all the time, some everyday. WOW: That's so touching you still hear from people you helped! I loved reading that you have animals surrounding you, including three dogs, one bird and eight horses. Can you tell me a little about them? How do they influence your writing process? Linda: My furry friends are my rock. They are my comfort, they are my joy. In all of my books I have one of my dogs and one of my horses represented. You can see on my website one of my horses, Jeremy an incredible American Saddlebred. WOW: How touching! So, what does a typical of day of writing look like for you? Linda: After feeding all the animals at home, I go to the barn and feed all the horses and dogs. I'm there until noon and I head home to eat lunch, paint and at three o'clock every day I write. It's a wonderful life that I have been able to create for myself with the help of my husband, family, and friends. I'd not be the person I am without there love and support. WOW: That sounds absolutely incredible. Finally, what surrounds you as you write? Linda: I think I'll have to put that up on Instagram. I sit down at my desk and I can look out at a beautiful lake with mallards, egrets, mud hens, and an assortment of other birds depending on the time of year. I planted bushes in my front and backyard that will attract butterflies, bees, and blue jays. It's almost surreal and I am so fortunate. WOW: That sounds beautiful! Thank you so much for taking the time to chat with us and best of luck on your book! What goes better in the morning than a muffin? Come by today and celebrate the launch of Linda Lee Kane's book Black Madonna: A Pope's Deadly Obession. Read an interview with the author and also enter to win a copy of the book. Make sure you visit Erik's blog today where you can catch Linda Lee Kane's blog post about heroes and villains. Rev. Linda Neas will be reviewing Linda Lee Kane's book Black Madonna: A Pope's Deadly Obsession. Stop by Rev. Linda Neas blog where you can read Linda Lee Kane's blog post about heroes and villains. Visit Jennifer's blog where you can read her review of Linda Lee Kane's exciting historical mystery book Black Madonna: A Pope's Deadly Obsession. Stop by Bev's blog today where you can read her thoughts about Linda Lee Kane's historical mystery Black Madonna: A Pope's Deadly Obsession. Visit Erin's blog today where she shares her opinion about Linda Lee Kane's exciting book Black Madonna: A Pope's Deadly Obsession. Stop by Anjanette's bookworm blog where you can read author Linda Lee Kane's post about creating suspense. Plus, be sure to check out the interview with the author as well! 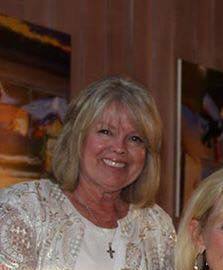 Visit Danielle's blog where you can read her interview with author Linda Lee Kane and hear more about this interesting writer! Visit Bev's blog again where you can read Linda Lee Kane's guest post about finding the idea. Visit Amanda's blog where she reviews the exciting historical fiction book Black Madonna: A Pope's Deadly Obsession by Linda Lee Kane. Stop by Anjanette's bookworm blog where you can read her thoughts about Linda Lee Kane's book Black Madonna: A Pope's Deadly Obsession. Make sure you stop by Jill's blog today where author Linda Lee Kane talks about finding the idea. Stop by Madeline's blog where you can read Linda Lee Kane's blog post about life as a writer. Grab some coffee and visit Lacey's blog where you can read her review of Linda Lee Kane's exciting thriller, Black Madonna: A Pope's Deadly Obsession. Visit Cassandra's blog where you can read Linda Lee Kane's guest post on research. Come by Joy's blog today and find out her thoughts on Linda Lee Kane's exciting book Black Madonna: A Pope's Deadly Obsession. Stop by Crystal's blog today where you can read her review of this exciting historical fiction book, Black Madonna. Visit Sreevarsha's blog where she shares her thoughts about Linda Lee Kane's exciting thriller Black Madonna: A Pope's Deadly Obsession. Make sure you stop by Sreevarsha's blog again where you can read Linda Lee Kane's fascinating blog post about the anatomy of a thriller. Visit Ashley's blog and check out what she has to say about Linda Lee Kane's exciting historical mystery Black Madonna: A Pope's Deadly Obsession. Be sure to stop by Anthony's blog today where you can read his opinion about Linda Lee Kane's exciting historical mystery Black Madonna: A Pope's Deadly Obsession. May the 4th be with you on this day! Be sure to visit Anthony's blog again where you can read Linda Lee Kane's guest post on the anatomy of a thriller as well as an interview with this incredible author. Visit Cassandra's blog again where you can read her review of Linda Lee Kane's book Black Madonna: A Pope's Deadly Obsession. Plus you can also enter to win a copy of the book! 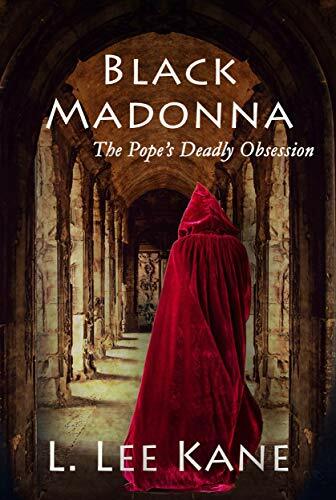 To win a copy of the book Black Madonna: The Pope's Deadly Obsession by Linda Lee Kane, please enter via Rafflecopter below. Giveaway ends on April 8th at 12 AM EST. We will announce the winner the same day on the Rafflecopter widget. Good luck! Linda--I went onto your website (I always wanted a horse when I was younger. I just knew there was room on our front porch for a stall... if only my parents would get rid of the firewood ;). Good luck with your future writing. From the sounds of it, you're not lacking for inspiration or time. Nicole there is still time to get a horse. I didn’t start riding until I was forty-nine. It’s a forever sport. Writing is a full time job and I love the time I spend creating. Thank you. sorry, it was before my first cup of coffee...thank you Sioux. Thank you so much Angela. I love being around horses, the smell. Of course, no one wants to get in my car because of those distinctive odors. I thought the tarot card history was interesting so had to incorporate. Black Madonna sounds so exciting. Thanks for sharing. Wonderful interview! This sounds like a great mystery. I would love to read!